Ms. Calhoun helped found two Florida AFP chapters, and served as President of the Broward Chapter of AFP. 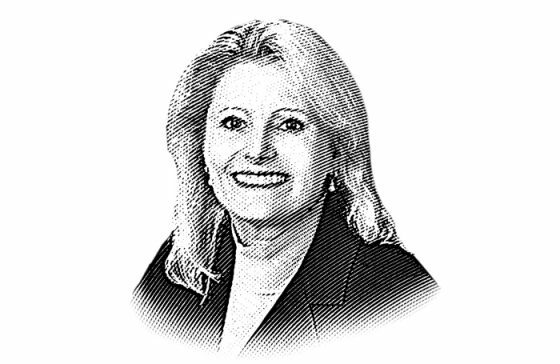 Peggy Calhoun is a Senior Consultant, Principal with Jerold Panas, Linzy & Partners. She enjoys over 35 years as a full time fundraising professional. Formerly, she was President of Miller, Calhoun and Company, a firm credited with having been involved in over $1 Billion raised for over 300 charities. Clients include health organizations, social service agencies, environmental groups, educational institutions, and religious organizations. Before entering the consulting world, her experience includes raising $3.7 million in nine months for an art museum, overseeing a $60 million national campaign for the Diabetes Research Institute Foundation at the University of Miami-School of Medicine. In addition to ,concluding a capital campaign for The Salvation Army in Fort Lauderdale, Peggy simultaneously increased the endowment from $3 million to $55 million. As a development officer, Ms. Calhoun has also raised annual, capital and endowment funds for the Boy Scouts of America, YMCA and United Way. Ms. Calhoun is a former Adjunct Professor to St. Thomas University teaching a Masters level course in Fundraising in the School of Business. She has also taught at Nova Southeastern University, Barry University, Rollins College, Hodges University and four nonprofit resource centers. As faculty and Master Trainer for Association of Fundraising Professionals (AFP), she conducts workshops and sessions throughout the U.S. In 1995, she created the nonprofit certification program for Barry University and the Florida Association of Nonprofit Organizations. Ms. Calhoun helped found two Florida AFP chapters, and served as President of the Broward Chapter of AFP. Peggy became the youngest ACFRE, a lifetime conference earned by only 115 of 32,000 AFP members.